Everyone is hoping to experience “One Shining Moment” at the end of NCAA March Madness with fond memories of being victorious. So many different teams have a chance this year that’s unreal. No one knows what will happen. So much so that Jessica Simpson very well could pick the Final Four based on what mascots she likes (like back when she was relevant like 10 years ago). First; a few stipulations: the players can’t be household names (nationally, anyways), they have to be on teams that play more than 2 games (in theory), and these guesses should have some kind of statistical backup. Unfortunately, most big men whether at UC-Irvine (Mamadou Ndiaye) or Notre Dame (Zach Auguste) there really isn’t a surprise big man that comes to play all of a sudden in the tournament. So this list will be comprised of guards and wings. Isaiah Taylor. Texas Longhorns. Shaka Smart has made Taylor look even better as he’s become a more efficient shooter and a better ballhandler. With Cameron Ridley coming back, the Horns are hopeful that the momentum of the last couple months will continue. Taylor can score in bunches from anywhere on the court. And with another PG playing opposite in Javan Felix, Taylor should have opportunities to get buckets. Jaron Blossomgame. Clemson Tigers. Blossomgame was actually named First-Team All-ACC. But you wouldn’t know it with all the pub other teams seem to get. Clemson has had a decent season with a string of upsets over ranked teams and while they dropped a heartbreaker to Georgia Tech today, they should still find a double-digit seed to play spoiler. 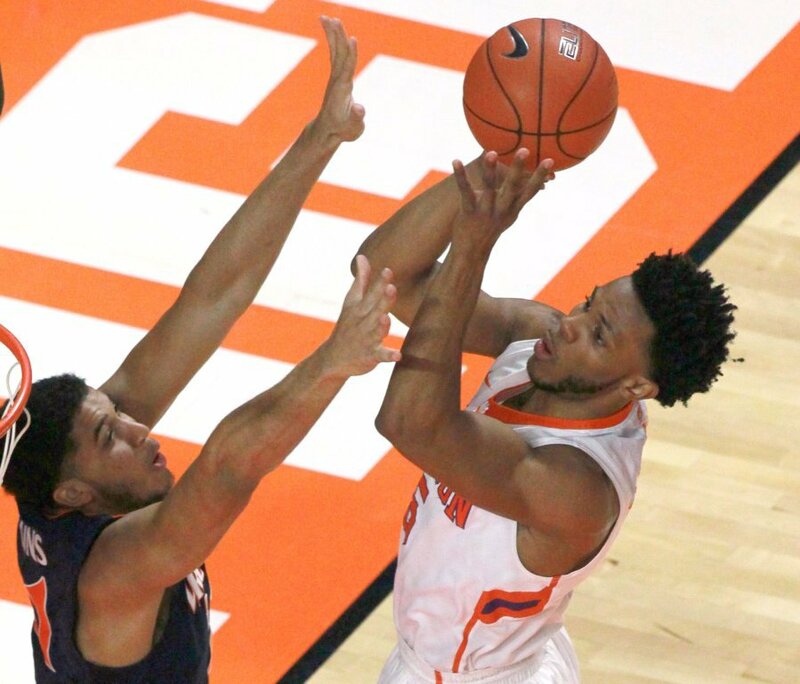 Blossomgame can do everything, much like his predecessor K.J. McDaniels. He even shoots 45% from 3. That’s icing on the cake from a guy who is your best defender. Quenton DeCosey. Temple Owls. 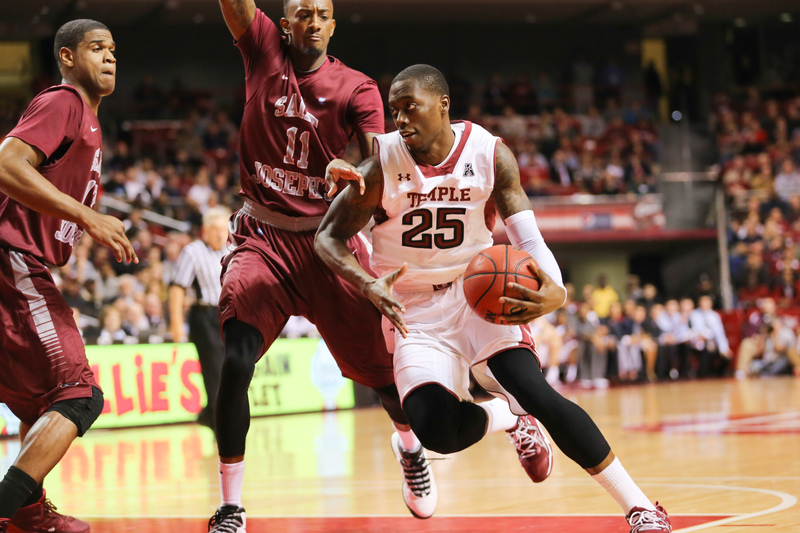 A surprise team in the AAC this year, Temple won the regular season title with a 14-4 record. DeCosey has lead the way along with Obi Enechionya and Jaylen Bond while scoring nearly 16 points and shooting near 80% from the charity stripe. With the kind of pace and depth to play with most any team, it wouldn’t be crazy to see Temple steal a couple games. 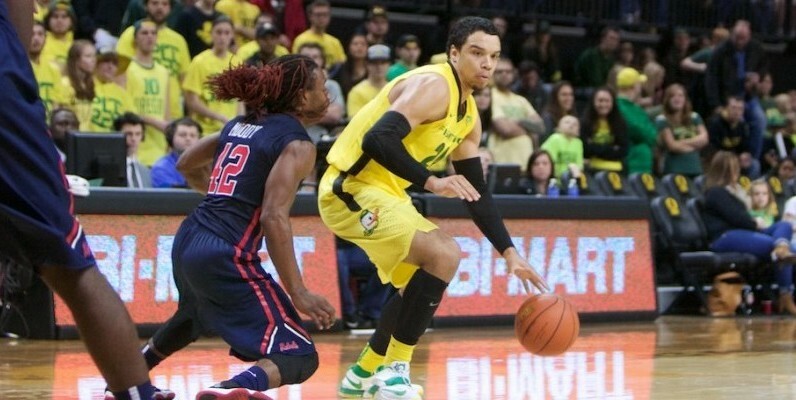 Dillon Brooks. Oregon Ducks. Considering Oregon is a top 10 team and very well could be getting a top 2 seed, it’s amazing that more people haven’t heard of Dillon Brooks. Truth be told, there was a decent chance he wouldn’t even be the best Dillon/Dylan on the team. Dylan Ennis reaggravated a foot injury 2 games into his season and was done. And while the Pac-12 is very down, somehow they may receive near as many tourney bids as the ACC! Brooks is the main reason the Ducks are in their current position. He leads the team in points and assists and is second in rebounds and steals. He’s an all-around player/leader and he’s just a sophomore. Vince Edwards. Purdue Boilermakers. From a team that is currently in the top 10 to a team that was there at the beginning of the season. 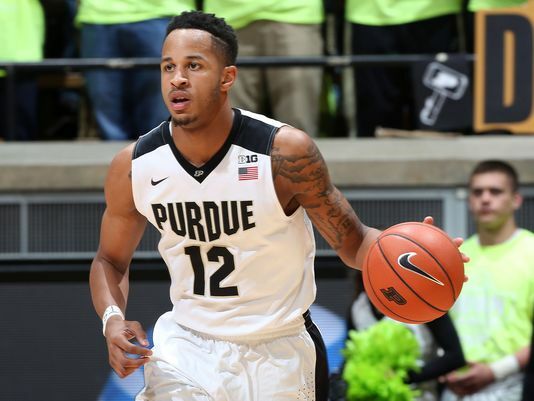 Purdue has struggled with consistency on offense and didn’t get a great effort out of A.J. Hammons until the B1G season rolled around. Still, with a returning conference DPOY, two very effective 7-footers with pro potential, and a top 10 incoming freshmen, Edwards was largely an afterthought. Yet, as a starter, he has been a defensive anchor and matchup nightmare while sometimes playing the 2-guard in a monster lineup at 6’9. As the second leading scorer, Edwards was near 40% from 3 and 81% from the line. Don’t be surprised if he hits a big shot when it counts most.